That princess bed. Best. Thing. Ever. Maggie begs to go to sleep every night, and when I give her a final kiss she whispers to me 'Mama, I won't get out of my bed'. Priceless. Today is my stepmother's birthday. There is a small chance that I forgot until yesterday. So I went online and ordered her some flowers. I took a lot of time deciding what to get and how much to spend, and in the end spent about $60 on a sunflower arrangement. She got it this morning, and the vase they sent leaked. She called to complain, 'because she thought they should know', and refused a second delivery. So they called me and promised me 50% refund and a $25 gift card. I just send a really nice flower arrangement for $10. And I'll definitely use 1800Flowers again. In order to get Maggie's room ready for the new bed, I had to rearrange her furniture. I was nervous, because my plan was to get rid of a huge 5 drawer dresser, and another smaller dresser and replacing it with one, smaller, 5 drawer dresser. So I would say her storage was decreasing by 50%. To give you an idea of how badly I needed to sort through stuff, I got all of her clothes into the one dresser with a whole drawer empty. I also sorted through and listed on Craigslist the dresser, the changing table, the contoured changing table pads.... getting rid of all that stuff makes me super happy. I'm more than a little annoyed that I can't even give away the cribs, though. We had brought the second, matching crib to my mother's house for when we visited. Once we decided to switch Maggie out of her crib, we brought the second one home, hoping to sell them together on the twins list. Having the two matching cribs in the garage is bringing out my PTSD in a huge way. Apparently, even if a drop side crib hasn't been recalled you can't even give it away. It kills me to put such a high quality crib in the dumpster. But it's going to happen soon because every time I get into my car, I see two matching cribs and it hurts my heart. 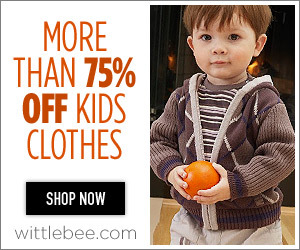 Through Cool Mom Picks I found Wittlebee. The concept is that it's a clothing subscription service. Which for me, is a dream come true. I HATE shopping for kids clothes. All of my kids clothes are either gifts, hand me downs, or me buying a big grocery bag lot of clothes from my twins list. I hope it turns out being as cool as I think it will be. Looking forward to this weekend - no big plans but plans to meet up with friends and play. You can try calling the manufacturer of the cribs (information should be in the instruction manuel or you can find it online) and see if they offer replacement parts for fixed sided cribs. That's what I had to do when I bought a drop side crib this winter. They usually send it for free or for a small shipping cost. You can't give it away meaning nobody will take it, or meaning it's illegal? I would think you could get some takers if it's free. Me, I'm really glad I have a drop-sided crib that my son used (actually inherited from a girl I used to babysit for) so I can use it for my next child. I'm really short, and putting a baby into a fixed-sided crib is not something I'd want to do every night! I tried to give it away on the twins list, and they took down my listing because you can't even give it away. Which blows my mind, as it is a really high quality crib, and was never recalled. I agree with you too - I have trouble reaching Maggie sometimes without dropping down the side, and I'm 5'8"! The news is that a friend just called and she needs one for her neice. So hurrah for that! Also, you could try and see if your day care/preschool might want it. And if not you could always re-purpose it. Don't know if it is slatted all around but you could use the ends to hang glasses from, cut down the sides and use them in your garden, look on pintrest - there might be other ideas. I completely agree with you that is stinks to have to throw them away. When we sold our nursery furniture, I explained to the people who bought it that trash day was the next day and that we were putting the matching crib out with it since it was illegal to sell or give it away. Like us, they agree that the law is absolutely rubbish, but they understood why we could only sell them the 2 pieces. After we helped them load the dressers, we went inside. I dont recall the crib being picked up by the garbage men... but, from a legal standpoint, I cant verify it was or wasnt. Just a thought. And I loved our drop side. If we have another child ever, I'll totally seek one out. Regardless. If you installed the fix kit on the drop side crib, it shouldn't be considered drop side anymore. Otherwise, I would like to know why it is legal for my child to sleep in it, but not for anyone else's.